SPECTACULAR OCEAN VIEW TOWNHOME! Best views in the complex from almost every room! Beautifully updated end unit 3 bed + 2.5ba with den + bonus room that could be 4th bdrm/media. Spacious open living room has ocean views, stunning Acacia hardwood floors, & travertine fireplace. Gorgeous Kit has granite counters & stainless steel appliances, opens to family room/den area with walk-in pantry. 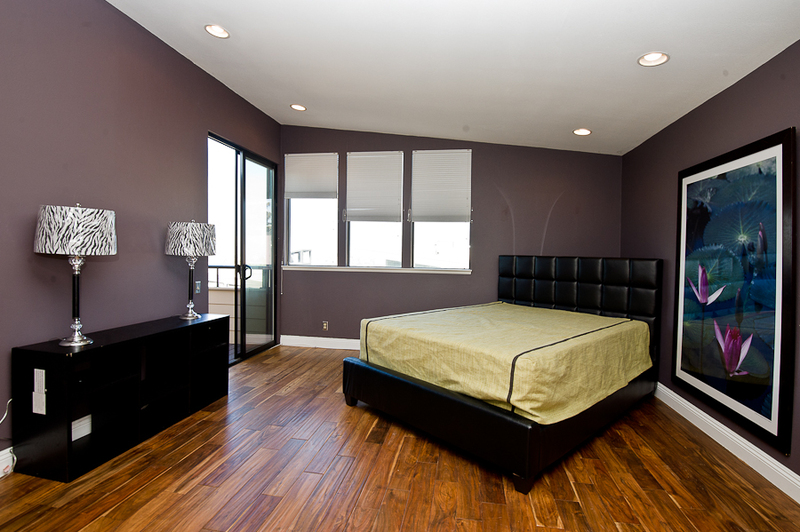 Master suite with vaulted ceiling, 180 degree ocean & city views, recessed lighting, hdwd floors, walk-in closet & remodeled bath. 2 bright bedrooms w/hardwood floors plus remodeled bath. Downstairs bonus room could be used as guest room, media room etc & opens to it's own private patio w/ocean views. 2 more decks upstairs w/ocean views! This resort style complex was renovated in 2011 with new roof, exterior siding, garages, balconies, windows, landscaping & new entry ways. Amenities include 2 Ocean view pools w/spas + guest pkg. Close to beach, bike path & Rivera Village's restaurants & shops.